3And even if our gospel is veiled, it is veiled to those who are perishing, 4 in whose case the god of this world has blinded the minds of the unbelieving so that they might not see the light of the gospel of the glory of Christ, who is the image of God. 5 For we do not preach ourselves but Christ Jesus as Lord, and ourselves as your bond-servants for Jesus’ sake. 6For God, who said, “Light shall shine out of darkness,” is the One who has shone in our hearts to give the Light of the knowledge of the glory of God in the face of Christ. Please notice that Satan is not primarily focused on blinding people to God. Of course that is his ultimate goal, but God is spirit, and thus invisible, so it is easier to make up lies about Him. On the contrary, JESUS, the living Son of God, is a human being of whom we can easily conceive (other than his physical characteristics) even though we cannot see him now. 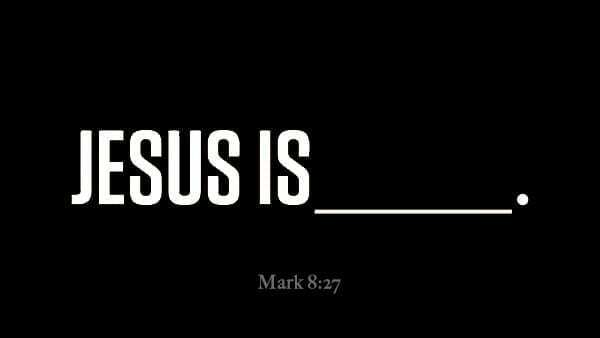 Because Jesus chose to perfectly internalize the written Word of God and obey it to the letter, he is the only flawless IMAGE OF GOD, the complete witness of God’s loving heart. So it is Jesus whom our enemy relentlessly tries to obscure from everyone he can, and distort for those who do choose to believe in him, so as to blind people to the true character of God. The question Jesus once asked his disciples is the one that every human being will one day have to answer: “Who do you say that I am?” You and I have chosen to bow before him now and make him the Lord of our lives, but one day “every knee will bow, and every tongue will confess” that Jesus is who God says he is. For those finally doing so at the Resurrection of the Unjust, however, it will be too late. Our forthcoming video is designed to enlighten both Christians and non-Christians as to the Marvelous Man whose love for them knows no bounds. One unique aspect to JCDA is the fact that we will have about 30 powerful (and biblically accurate) songs interspersed throughout the video segments. Some of them feature our own Christina Bottley and her three different singing groups. The music is strategically placed, and is designed to help you worship both God and Christ, as well as reflect upon the truths you are hearing. After we had finished filming, we had quite a discussion among our TLTF Board of Trustees and Finance Committee members about what is the best format in which to distribute it, and also what we should charge for it. Given the cost of producing DVDs, and the fact that they are pretty much becoming a thing of the past, we decided to make JCDA available primarily in electronic format. Most TVs sold today connect directly to the internet or your computer, so you can watch it on your TV. For those with no Internet connection, we will make the seminar available on a USB flash drive. After a lively discussion, we decided to make JCDA available to you FREE, and we want to share with you our rationale. If you have paid attention to TLTF for a while, you know that during our 6+ years of existence, we have been very laid back about asking for financial support. Instead, we have encouraged you to take advantage of the tremendous resources we have available, and to follow the biblical principle of giving in response to a blessing. When I used to roam the planet from 1987-2000 with my omnipresent coffee can and boxes of books and tapes to display, I often told people that if they had only, say, $20 to part with, they should buy some teaching materials rather than put it my can. Then they could determine if what they got was worth giving something to the ministry so that other people could also receive the blessing they did. The point is that we want those who contribute to TLTF to do so with the attitude described in 2 Corinthians 8 and 9, as per the following excerpts. Please read them prayerfully and ask the Lord how you can experience this kind of hilarious giving, if you are not already. The good news is that the Lord Jesus will reward each of us for every good work we do in his Name—and sharing of what God has graciously provided for us is definitely a good work. God’s Word parallels financial giving to sowing seed. Every farmer knows that a quality yield comes from sowing good seed on good ground filled with nutrients. When you give with a hilarious heart, you sow good seed. As for where you sow it, there are countless choices in Christendom vying for your monetary investment, but I am thrilled about the unique package of accurate biblical teachings that TLTF is making available. We believe that TLTF is good ground for your good seed, and we hope that Jesus Christ: The Diameter Of The Ages inspires you to give in response to the blessing it is to you.